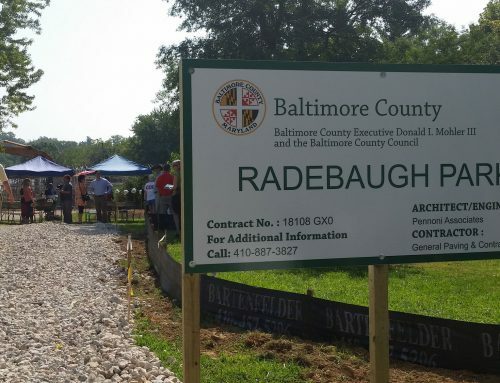 Please join the Green Towson Alliance in calling on County Executive Kevin Kamenetz to finalize the purchase of 2.5 acres of Radebaugh Florist property in Aigburth Manor for the creation of a park. The property is accessed from Aigburth Avenue and is surrounded by the residential streets of Maryland Avenue, Marburth Avenue and Aigburth Road. The property is currently zoned for residential development. Negotiations have been underway since June of 2015, but progress has stalled. Please sign our online petition of you agree that this is an opportunity to bring a great asset to Towson. Adding your own personalized message has even more impact!